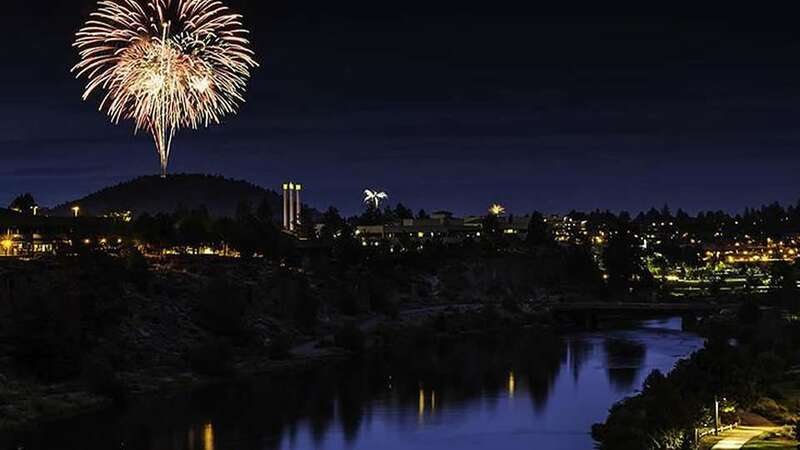 Enjoy the holiday with your friends and family at the Bend July 4th Fireworks Festival. It’s a day filled with old-fashioned fun & games, food and activities – you won’t want to miss out! Each year, fireworks are launched from the top of Pilot Butte at 10 p.m. You can see fireworks from just about any spot in town with a view of Pilot Butte. Independence Day conjures memories of fireworks, barbecues and basking in the sunshine, with activities such as the annual Lion’s Club Pancake Breakfast, cruising downtown Bend with your dog, llama, wagon, bicycle or stuffed animal at the popular Bend Park & Recreation District Pet Parade, the day festival with live music, local artisans, delicious food, contests, a kids area with a 3-Legged Race, Gunny Sack Race, Parachute Play, Hula Hoop Contest, Ball Relays, Water Balloon Toss, Sponge Relay, Watermelon Eating Contest, and more.